I love this little place. It used to be a Ladies toilet, but closed about 20 years ago. 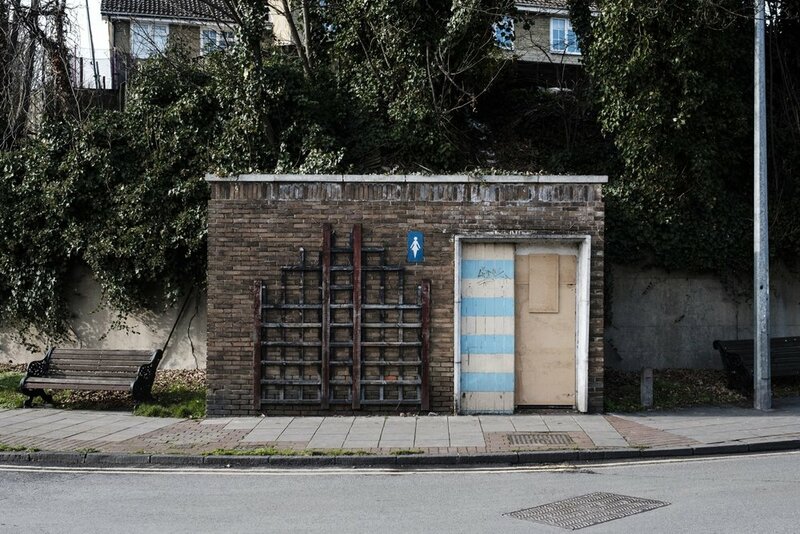 In 2005 someone put in a planning application to turn it into a coffee hut but the Council turned it down, I think it would make a great little gallery. Sadly recently someone broke in and damaged the nice blue door in the process. The answer to yesterday’s question. The minor landmark created by Plastik Architects is a public toilet. Opened in 2007, shortlisted for the RIBA Regional award 2007, awarded Best Small Project by Kent County Council and now seemingly closed. Sadly no one won the prize of an all inclusive holiday for two to Costa Rica. What do you think this is? The brief required the building to be an eye-catching, ‘minor-landmark’, say architects Plastik Architects. Cemeteries are strange places. The site of incredible emotion for some, the final symbol for a battle lost, but also reassuringly peaceful. I really enjoyed my time wandering between the gravestones.